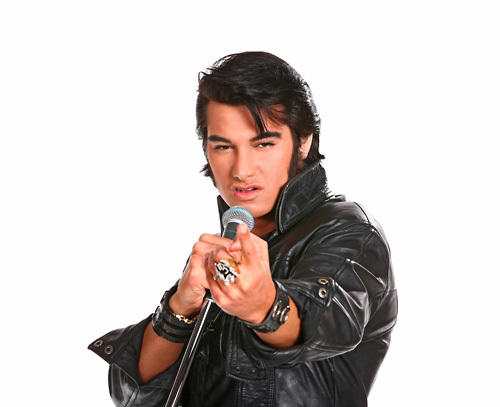 Joseph Hall’s “Rock ‘N’ Remember Tribute” to Elvis Presley is one of Branson shows that you don’t want to miss at the Clay Cooper Theater this season. If you are a die-hard fan of Elvis, this show will have you singing the night away to all of the hits of Elvis. As one of the best impersonators of Elvis Presley, Joseph Hall performing for one night only in Branson stage, from the looks to his sound, you will think you are watching the King himself. Impersonating Elvis Presley for over thirty years, Joseph Hall has delivered his masterful tribute to the King of Rock ‘N Roll to audiences all over the US. Joseph Hall has been featured in USA Today, Fox News, The Morning Show, with appearances on Good Morning America, and as top ten finalist on NBC’s America’s Got Talent. The sounds, styles and moves of Elvis all come back to life every time Hall performs on stage. You'll swear the king is standing right before your eyes as the hits of Elvis from the 50s, 60s and early 70s are performed. Hall has mastered the Elvis groove and will provide you with a performance that is bound to shock and awe you. With his Rock ‘N’ Remember Tribute to Elvis Presley, Joseph Hall now calls Branson, Missouri home. Guests who’ll watch this most anticipated Branson show will experience an all new production with state-of-the-art lighting, lasers, video, sets, and a live band. Audiences are sure to enjoy this tribute show with amazement and appreciate the way Joseph Hall recreates the moves, the look, and the sound of Elvis Presley. The audience eyes can’t escape the authentic Elvis look of Joseph Hall from the bottom of his shoes to the famous wave of his hair, it will make you think you’re watching the King himself perform. Joseph Hall knows all of the hip swings and famous habits that Elvis perfected onstage, and his astounding voice almost perfectly matches that of the King of Rock n’ Roll. You will hear famous songs of Elvis from ‘Love Me Tender’ to ‘Hound Dog’. If you’re a fan of Rock n’ Roll music, this Branson show, Joseph Hall’s Elvis Rock N’ Remember Tribute is a must-see show this season. Joseph Hall has been paying tribute to the legacy of Elvis Presley since 2006. He has performed all over the world, from Las Vegas, Nevada to Porthcall, Wales. He has won many awards throughout his music career including the “Spirit of Elvis” award. Joseph has also worked with Elvis Presley Enterprises, Legends in Concert, and has officially been recognized as one of the top Elvis tribute artists in the world today. Hall has already completed 6 smashed seasons in Branson, Missouri. As one of the most anticipated Branson shows, Joseph Hall’s “Rock ‘N’ Remember Tribute” to Elvis Presley is a tribute show not to be missed at the Clay Cooper Theater in Branson.